The next energy system I learned about were the seven major chakras. Back in those days, (you know – only landline phones, no computers and no microwave ovens) there were very few books and other sources to learn about the chakras. The book of the day was The Chakras by C.W. Leadbeater. 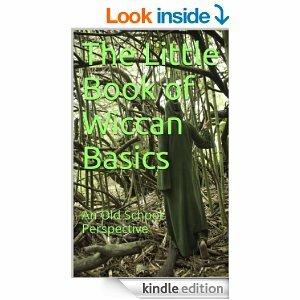 In order to understand where my learning began, you need to know that this book was first published in 1927 and that when it was reprinted by Quest Books in 1974 – its 10th reprint – it was still the best there was in print. 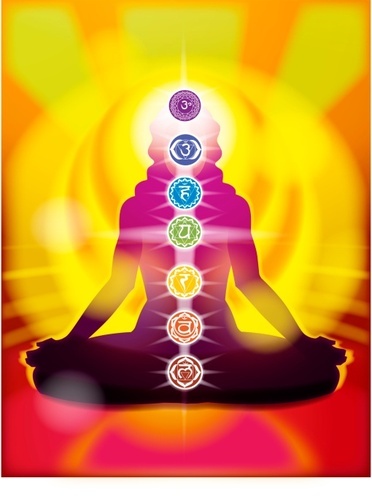 3) the upper chakras, consisting of the throat, brow and crown chakras. Besides this I learned what gland each was associated with and what spiritual function could be developed through each one. I learned colors associated with each one, when viewing them and what they might look like. In recent years, because of all the new information gathered through the work being done with energy medicine and, thanks to all those who have written about it, I have learned that the chakras can be as individualistic in appearance as are each of us. For instance, even though I knew that each chakra connected to our spines, I thought they were more like flat spinning wheels on a string connecting to our spines rather than the more recent interpretation of them as being more like vortexes – more like the shape of a whirlwind, dust devil or tornado. I have also since learned that there are layers to the chakras, like the aura. Some say there are seven layers to each and the deeper you are able to go into any chakra you will be able to make a connection with incidents from earlier in the person’s life. This happens at about the fourth layer. Also, each of these layers can spin in opposite directions from the preceding layer. Fascinating, huh? Well, that’s not all. Early on, I knew little about how one corrects imbalances in the chakras. The best I could do was to feed the chakra the color I believed was associated with it in hopes of revitalizing it. I have since learned that there are methods of balancing the chakras and that this is important because each chakra pulls energy in from the outside world – including other people – and distributes it throughout the body. Besides that, the chakras also send energy to the outside world. You can begin to see how having your chakras balanced is very important! It’s relatively simple to balance the chakras. Using your hands alone, you can clear, balance and strengthen your own chakras or those of friends and family. This simple process makes people feel more grounded, centered and boosts your energy! It takes about three to nine minutes for each chakra. Your hands are electromagnetic and, this motion of circling counterclockwise (or clockwise in the case of male crown chakras) will pull stale, toxic energies up and out. How long this takes is instinctual and will differ from person to person. With practice, you will feel the chakra become clear. To begin with do your clearing circles for at least three minutes. 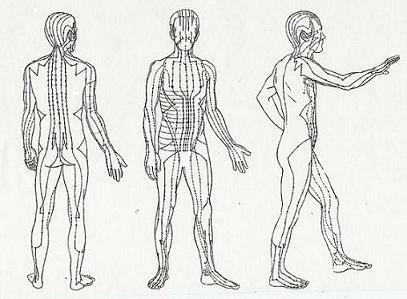 It’s possible that you may feel a headache while doing this and it’s only because you releasing toxic, stale energies and they are starting to move up your spine. What’s really cool about my latest learning concerning chakras is that I’ve found you can energy test each chakra separately to see which ones may be in real need of attention. You can clear, balance and strengthen your chakras without doing any energy testing, but if you have a particular ailment, you might want to check the corresponding chakra to see how its functioning. I’ll do my best to describe this test to you, since I have no illustrations to share with you. If you want to test your own chakras, you will need a partner to assist you. If you’re working on someone else, then you will be doing the testing of their chakras, obviously. ***While lying on flat on your back, put the backs of your wrists together with elbows straight and arms extending toward the ceiling. ***The person doing the testing then lightly taps the chakra to be tested with the middle finger of either hand. If it would be too intimate to do so, tap the energy field of the chakra about an inch above the body. ***After tapping the chakra, the person doing the testing places their open hands, palms facing outward, between your raised arms just beneath the wrists. ***As the person doing the testing tries to separate your hands, you resist. ***If your arms are easily separated, then the chakra can be cleared, balanced and strengthened. I think that’s so great that there’s a tool for testing the chakras! So now you know how to keep your spinning wheels spinning. May health, joy and vitality be yours! This entry was posted in Astrology and tagged Chakras, Energy Medicine, Magick, Meridians, Metaphysics, Paganism, Self-Empowerment, Self-Healing, Self-Help, Vibrational Healing, Wholistic Healing, Wicca. Bookmark the permalink.